Includes 50 GB of content on a 120 GB solid state drive for easy installation and access to content from different computers. 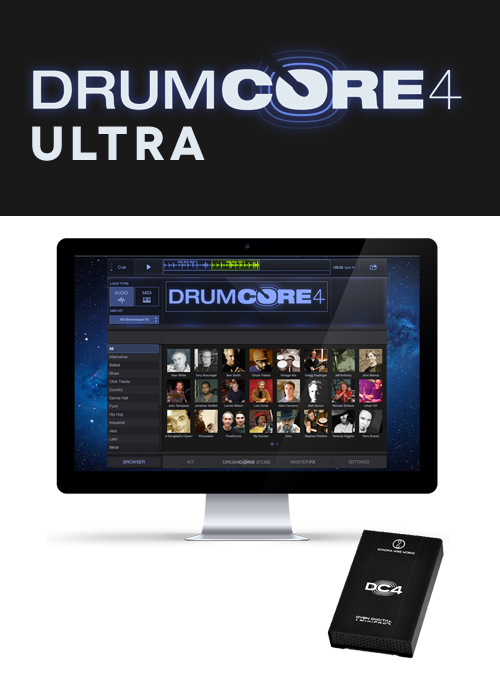 DC4 Ultra content includes 263 GrooveSets (22,000 audio loops and 3,000 MIDI loops) by 18 drummers below, and 139 multi-velocity sampled Drum Kits. Ultra has 157 more items than Prime ($4.99 ea. when purchased individually) = $780 more content than Prime plus a $150 SSD when you buy Ultra = $930 value for only $390 more than Prime. Save $581.